As dramatic change swept over the Penguins this off season, one signing stood out amongst certain fans: that of former Flyer, Lightning, and Avalanche pest Steve Downie. As the Shero era of Penguins hockey wound down, there was something missing. A man who had employed the likes of Jarkko Ruutu, Matt Cooke, and Aaron Asham was lacking that sandpaper and grit that made the Penguins fun to watch and hard to play against. Downie marked a potential return to that image. A player who walked a fine line, a skater you hated to play against, a pest you loved having on your team. It's the kind of player that Penguins fans have traditionally made heroes of, the ones they clung to. 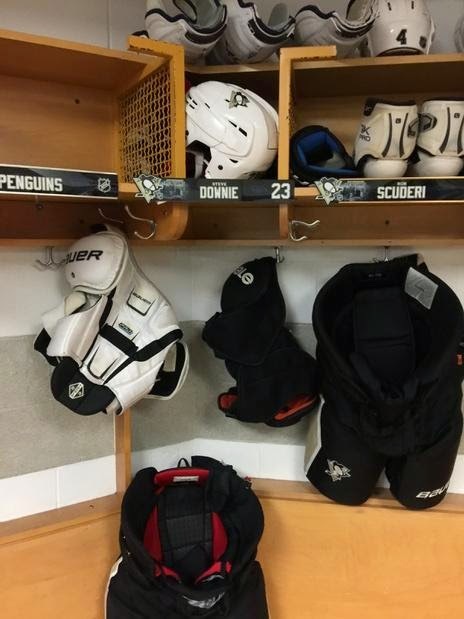 Matt Cooke could still come back into town and still never pay for a drink as long as he wishes to be buzzed. The possibility of offensive output from only added to the appeal of Downie. The grit and goals from Matt Cooke's loss was something never truly replaced. A career high of 22 goals and 24 assists five years ago with a talented, strong Tampa Bay team was enticing, as was the potential of that return to glory on a team with Sidney Crosby and Evgeni Malkin. All of these were good reasons to take a chance on Downie. At only $1,000,000 it was a potential win/win for both sides. The cap strapped Penguins receive a potential missing piece to a puzzle while Downie gets a chance to revive his career after several injury plagued seasons lowered his stock. Nearly 20 games into the season those hopes have been unfounded. While Downie has had some offensive pop to his game, tallying three goals and adding seven assists, the ancillary has become a big problem. Downie's penalty problem's are well documented and discussed but the raw figures, when viewed, are disturbing. 19 games into the season and Downie has racked up 79 penalty minutes. He is, far and away, the leader of received penalty minutes in the entire league. While two games have inflated those numbers (including a 22 PIM effort against the Winnipeg Jets), he's still a consistent penalty monster. Tonight the Penguins will play game 20 against the Boston Bruins. In 19 games in the 2014-15 season, Steve Downie has been penalized in 14. Dating back to October 23rd against the Detroit Red Wings, Steve Downie has received a penalty in 12 of those 14 games played. While not all were bad penalties, such as sticking up for teammates or "necessarily" retaliating, penalties like Saturday's game against the Islanders are the back breakers. Down 3-1 and attempting to come back against a division rival is not the time to add to your penalty totals. It goes without saying, but shall be said: Though the Penguins penalty kill is one of the best in the league two minutes short handed is two minutes not spent attacking, is two minutes spent not controlling the play, is two minutes asking a lot of your teammates to bail you out of another sticky situation you've knowingly put them in. The Penguins themselves don't seem too concerned, but they're aware. Earlier today equipment manager Dana Heinze took to Twitter to share a photo of the players' new locker placement for Downie. While funny and fun it seems as if there's been some sort of message sent. It remains to be seen if it will be received. 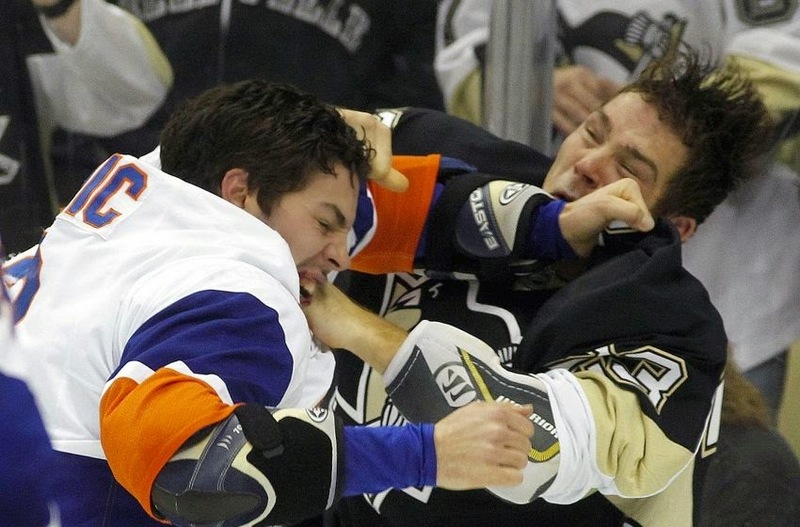 There's plenty of time for Steve Downie to turn this around. There's zero reason to paint him as a goat, to blame him for the Penguins issues, or claim he's ruined the hopes of a fourth Stanley Cup being lifted in the golden triangle. It would be nice, though, for every fan's mental well being if Downie began curtailing his naughty behavior sooner rather than later.